Choosing a hotel, especially in a large city like Barcelona can be a gigantic headache. But if you read on, this article can give you a wonderful solution for flights, transport, hotel and a marvellous stay at the leading theme park from the time you step foot off the plane at the Barcelona airport. There are many kinds of accomodations for everyone’s holiday stay in Barcelona, Spain like hotels ranging from five to three stars, hostels, youth hostels, campings and apartments. But what I really understand for the word ‘holiday’ is having everything at a snap of your fingers and here is how you can get it. Your holiday plans are set on Barcelona, and before heading into the busy city to enjoy all the cultural and architectural delights it has to offer, I recommend the following itinerary which I have personally done twice ( and hope to do a few more times). When arriving at the ‘El Prat’ Barcelona Airport, you can get a special transfer which will take you directly to your Barcelona hotel at the fantastic theme park called Port Aventura. If you are planning to travel to other places and have decided on a car hire, remember that Europcar has special prices for vacationers staying at Port Aventura. You will have previously chosen one of these wonderful four star hotels, each uniquely decorated and offering a package deal of hotel lodging and breakfast, entrance tickets to Port Aventura and also to the Carribbean Water Park ( Caribe Aquatic Park ). The Portaventura Hotel is nicely decorated in a Mediterranean colonial style, The El Paso Hotel intricately shows the pre-Colombian and Mexican decor and the Caribe Port hotel is the biggest swimming pool with white sand in the world. You are not going to get this type of Barcelona Hotels even booking the best ones right on the waterfront. At the highest season which is categorized as ‘A’, one night with two days in the park could cost about 218 euros single and 136 double with a child for 68 euros. There are combinations of 4 people in one room including child and longer stay offers. At the El Paso Hotel, in the lowest season, still being able to enjoy very favourable Barcelonian weather, 2 people would be about 84 euros and a child 42. Can’t beat that! Enjoy the parks fully and snoop around and relax completely at these magnificent hotels in Barcelona. When my piggy bank exploded, or did I explode it, it doesn’t matter, I went mad and stayed at the Arts Hotel in Barcelona. I wanted to have a perfect view of the marina port area and was told that any of the suites, splendid double rooms or luminous duplex apartments would give me that pleasure. I wanted to be catered to as I was, with its friendly, well-trained staff and incredible facilities. As a last effort to ‘live it up’, I had my taste buds tickled at the Goyescas restaurant. Everything on the menu was teasing so I tried the house specialty and was recommended an exquisite wine to accompany it. After working hard on a few projects, I was tempted to go back to visit the new port area in Barcelona, and as I wanted to get more details on the Barcelona hotels I went straight for the three star Montecarlo hotel located on the Ramblas Promenade, well known for being lined with flower stands. This medieval 14th century building has been newly renovated and decorated but always respecting the original architectural features. This time I concentrated on the complete buffet breakfast and its centrical location to be able to walk into the centre, to the port area and to get a glimpse at the crazy nightlife in the Exaimple area. Barcelona has been recognized as one of the most vanguard places for hotels and gastronomy. 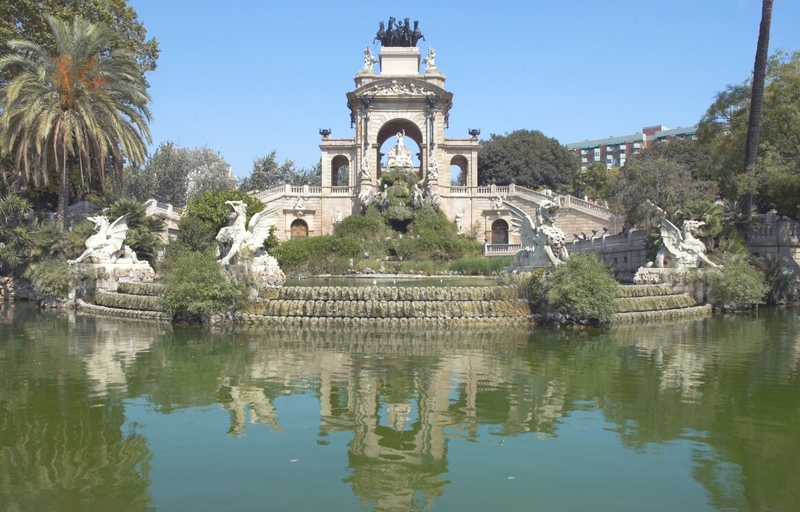 Therefore, the tourist bureau and town hall of Barcelona has decided to make the period from March 2005 to March 2006 a national and international promotion of Catalunya and its rich fresh products. Some of the restaurants promoting these products like the shop Can Ravell ( an excellent delicatessen ) or Club del Gourmet ( coffee,tea and sweets) are near the two Barcelona hotels I have mentioned.